8.7 RSI - "Log File Not Found"
The Reform Tracker plug-in allows for seamless Printer, MFP, Fax, Email and LOB(line-of-business) monitoring. There are two main components which are the monitoring and reporting. The monitoring component is able to retrieve information about print jobs such as the number of black and white/color pages, the amount of copies, time and date printed and a various amount of user information. The reporting component is able to intelligently gather this data about the jobs and compile it into user friendly reports. 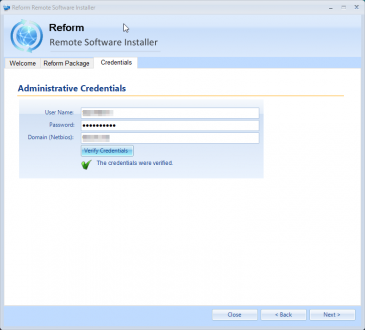 Also, if using MOST enabled MFPs, the Reform Tracker is able to configure and lock functions based on devices or LDAP users and groups. It can also monitor and limit the number of black and white/color copies made. The Analysis and Reporting website is designed to allow managers and users to see only the information that they are allowed to view and analyze. All the different agents generate user transactional information that the reporting website will use to generate over 117 different types of reports. Reform Tracker is capable of capturing transactional information for prints, scans, and other document details. Below is a list of different types of agents and methods that can be used to obtain 100% tracking coverage in your environment. 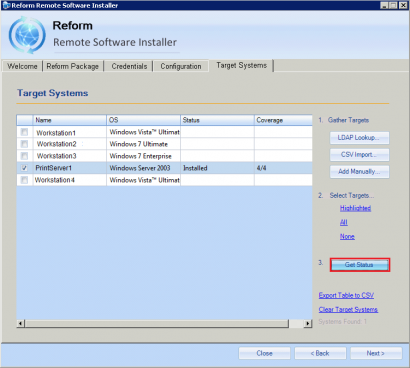 Print drivers that are installed on a print server can be tracked by Reform Tracker. 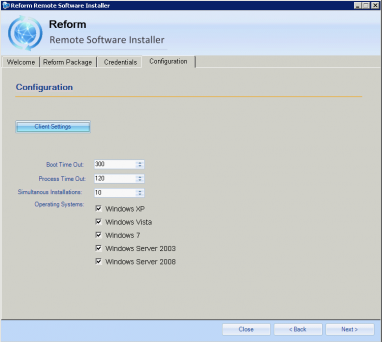 To accomplish this, the Reform Tracker client can be deployed to each print server. This functionality will allow reporting based on the print jobs from all users and workstations utilizing the print server that is being monitored. Printers installed directly on a workstation can be tracked when Reform Tracker is deployed to each workstation. Printers that are configured to print via USB or directly to the device’s IP address (without the use of a print server) can be tracked using this method. 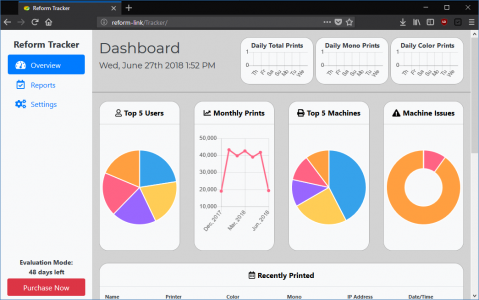 Tracking user’s workstations in combination with any print servers that are used is an efficient way of tracking and reducing typical print activity in the environment. MOST, or Modular Object Scanning Technology, allows for interactive scanning and printing workflows from various MFPs. (Please see the MOST user manual for more information regarding MOST functionality). Combining MOST with the abilities of Reform Tracker allows the software to provide an overview of the transactions processed by MOST. The two applications work together to provide MFP copy activity, output, and can be used to determine efficiency. Using this data can provide a better understanding of MFP usage, requirements, throughput, and placement to obtain the optimum configuration. Print To Me is an additional feature that is used in combination with MOST. It allows the users to submit print documents to the Reform Server to be released and managed at a later time. It also allows the user to select the finishing options from the MOST screen at the MFP of their choosing. (Please see the MOST and Print To Me user manuals for more information regarding their functionality) Combining Reform Tracker with the printing abilities of Print To Me can drastically decrease the amount of waste caused by unnecessary printing. By allowing users to cancel prints at the MFP screen before they are released, allowing finishing options to be selected at the device, enforcing rules and limits, and having an in depth reporting system to analyze the usage, Reform Tracker is a vital tools for any environment. The basic functionality of Reform can also be combined with Reform Tracker to provide additional statistics regarding AS400, UNIX, and other host based software. These applications may submit documents to Reform via the LPD protocol (port 515), TCP protocol (port 9100), or other methods. For example, Invoices, Credit Memos, and other business documents can be routed through Reform where an overlay may be applied. Reform may then route the document to printers, email systems, and fax machines while tracking each document along the way. Click Here to view software and hardware requirements. 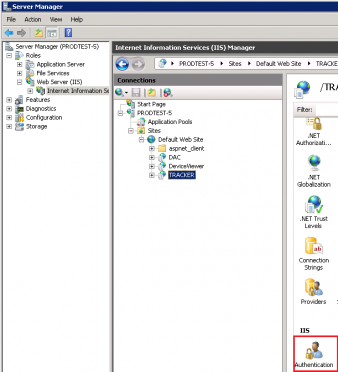 If the tracker software will be deployed to print servers to track the jobs processed by that server, the print server is required to be connected to the same domain and network as the Reform server to function properly. In some cases, where limits and rules will be used, the print server will also need to query against the SQL server where the tracker data will reside. These ports are used for File/Printer Sharing and are required to deploy the software to the computers. If the tracker software will be deployed to workstations to track printing (via USB or documents printed directly to a network device without a print server involved), the workstation is required to be connected to the same domain and network as the Reform server to function properly. In some cases, where limits and rules will be used, the workstation will also need to query against the SQL server where the tracker data will reside. Updating the firewall rules on multiple workstations can be done using the Group Policy Object Editor. 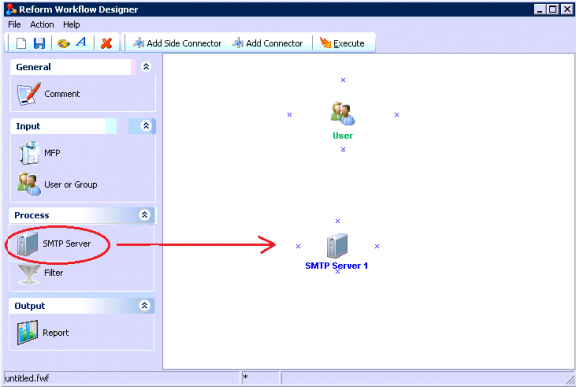 See Enable Firewall Rules for instructions. 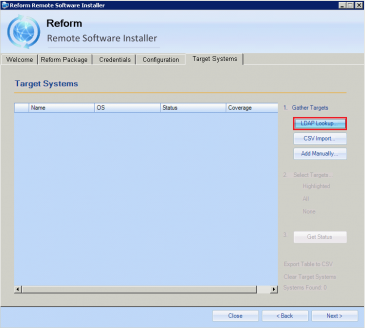 Prior to demonstrating the software or reporting capabilities, the Reform and Tracker software must be installed. Once Reform is installed run the Reform Spooler to obtain a 60 day evaluation key. 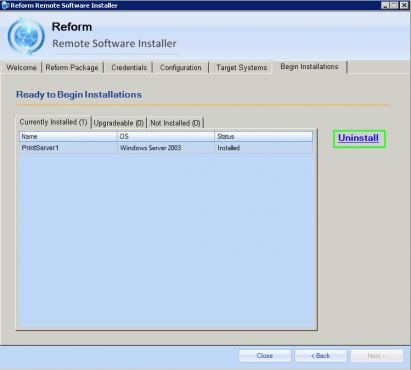 Before installing Tracker, verify that the Reform Spooler is running. (Please see the Reform User Manual for more information regarding Reform). Step through the installation wizards to install the products. Once they are installed, the following demonstration can begin. The Tracker Reporting tool is used to view detailed information about the print jobs that are monitored by the Reform Tracker. For our demonstration, we will generate reports based on the sample data installed with the tracking software. This data is provided to show the reporting capabilities prior to deploying the tracking agents. 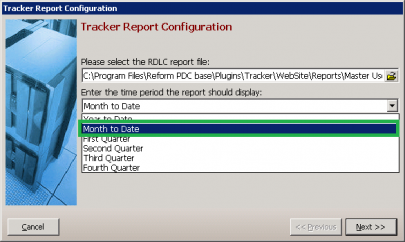 To open the Tracker Reporting web page, navigate to the folder located on the Desktop named FabSoft Reform PDC > Tracker, then open the shortcut named Website for reporting Tracker usage. Once you click on "Website for reporting Tracker Usage" the Webpage will appear. An alternative method to get to the website is by typing http://localhost/Tracker in a web browser on the Reform Server. Click on Reports from the left side of the page. Select the filters: You can choose User, Location, or MFPs. Click the drop down box for User’s Name. Here you will see all the users that have recorded transactions. Select a user from the list. Select a Report: Depending on the Report Type, the available Reports change in the second dropdown list. Select Executive Summary as the Report to generate. 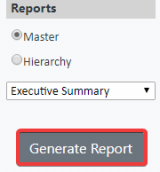 Generate the Report: Click the Generate Report button to view the recorded information related to the filters that were setup in the previous steps. On the right hand side of your screen, you will see a "Loading..." message. The report will now display the user’s printer usage. Using the toolbar highlighted in the image below, you can view additional pages. You can also search for text and export the report as a PDF, Excel, Word, or CSV file. It also provides the ability to print the report. Note: Depending on the type of report you choose, it may have one or more pages. 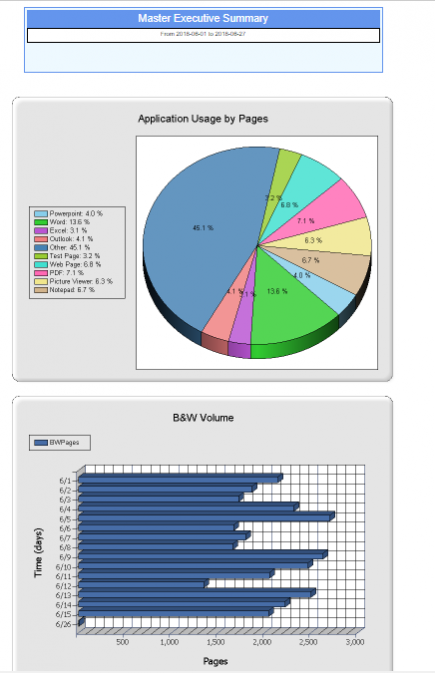 To see more detailed usage for this user, change Report Type from Summary to Users and leave the report as Overview. Locate the toolbar in the upper part of the page. You can see it has two pages. Choose the second page and you will see a detailed overview of each user. You have completed the report navigation tutorial. Please feel free to view other reports from the report list. These ports are used for File/Printer Sharing and are required to deploy the software to the PCs. 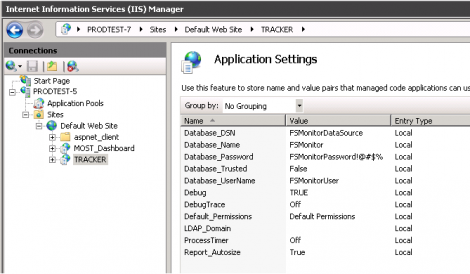 The tracker software will run on the workstation or print server as a Windows Service. The service will need to run as an account that is administrator on the computers it will run on. Also, an account with permission to install the software onto the workstation will also be required to deploy. Service account that is administrator on the workstation. This account is used to run the software on the client computer. 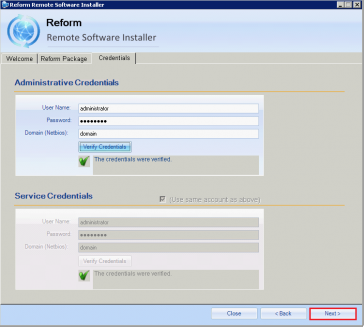 The account will require access to a network shared folder on the Reform server. Depending on the configuration and environment, the account may also need access to the SQL server containing the Reform Tracker data. 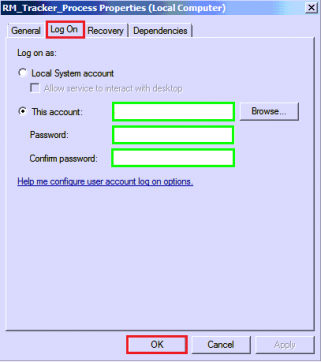 Account that is administrator on the client computer and can access the computer remotely. This account is used only to deploy the software. These deployment credentials are not stored within the Reform software or plug-ins in any way. They are used temporarily to deploy the agents and are used to configure the service accounts on the client computers. 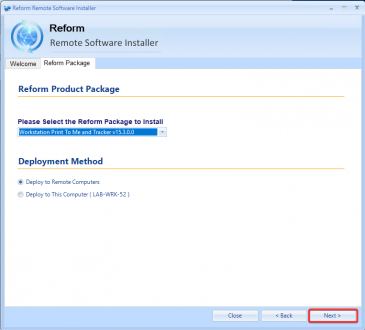 The Tracker Agent is deployed to a workstation via the Reform Remote Software Installer. This tool can be used to remotely install the agent on a different computer, or you can install it locally on the workstation running the tool. Click on Settings from navigation menu. Click the Install Agent button. Select Start > Reform… > Reform_Tracker > Tracker Agent Installation Console to begin the installation of Workstation and Print Server Tracker. 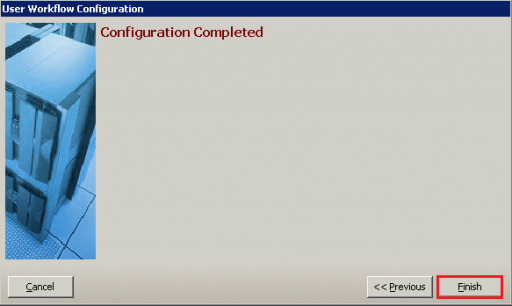 Click Next to start the configuration. On the Credentials tab, enter the Username, Password, and the Domain. NOTE: You must use an administrative account, preferably the same account you use to run your services. Click on the Verify Credentials. After verifying the Administrative credentials, you may want to enter Service credentials. The Administrative Credentials section is for the credentials which will be used to install on the target system. 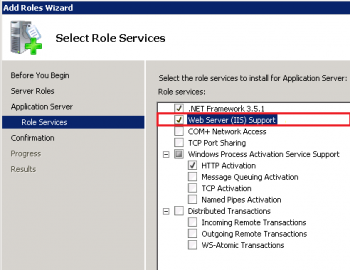 The Service Credentials section is for the credentials which will be used to run the software (a Windows service) on the target system. After credentials have been verified, click Next to be taken to the Configuration tab. 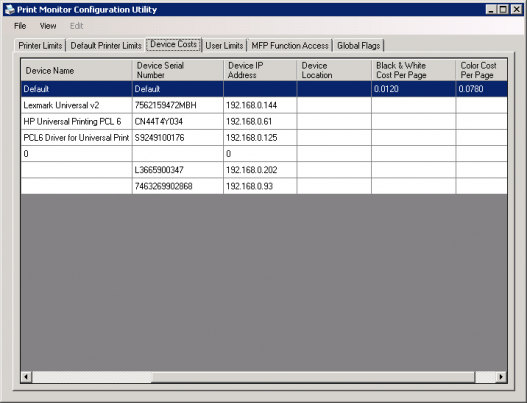 On the Configuration tab you have the option of specifying the Boot Time Out, Process Time Out, Simultaneous Installations, and Operating Systems. Typically these advanced settings should be left as their default values. Boot Time Out: The timeout for a PC to "wake up". The RSI has an option to use Wake On Lan to wake up a computer if it is asleep. Process Time Out: The timeout (in seconds) before the process is killed. Simultaneous Installations: The maximum number of installations occurring at once. Operating Systems: The OS’s of systems that will be targets. Click on the Client Settings button to view your Workstation Tracker settings. These are the settings that will be pushed to the target system (server or individual workstation). Accept the defaults for the rest of these settings to install Passive Mode. Once you have completed the settings, click Save. License File: Required to register the workstation/print server Tracker. To license the software, enter the path to a valid license file (.lct) using its UNC path. SQL Server: The SQL server that is being used by the Reform Tracker software. Reform Tracker Path: The UNC path to the Reform_Tracker_Client folder on the Reform Tracker server that is processing the tracked data. Image DPI: The DPI of the temporary images that are used when redirecting a print job as a PDF. Note: the larger the DPI, the large the file size will become. The default is 96 DPI. Monitor Mode: The mode that Tracker will be running in, either Active or Passive. Disable Interactive Dialog: Enable or disable interactive dialogs on workstations. These dialogs can be used for print job redirection to another device or to email as a PDF. Create PDF’s (Passive): Used for the PDF creation rules to make a PDF of a tracked print job. Select Always to create PDF’s for every print job, select Never to never make PDF’s. Create PDF’s (Active): Used for the PDF creation rules to make a PDF of a tracked print job. Select Always to create PDF’s for every print job, select Never to never make PDF’s, and select Only when a limit is exceeded to create PDF when a user exceeds their permitted allotment. Spooler Directory: The UNC path to the Spooler folder on the Reform Tracker server that is processing the tracked data. Tracker PDF Directory: The UNC path to the folder where the PDF’s will be created on the Reform Tracker server. On the Target Systems tab you can specify your workstations via an LDAP lookup, CSV import, or manually entering the Computer’s Name or IP Address. 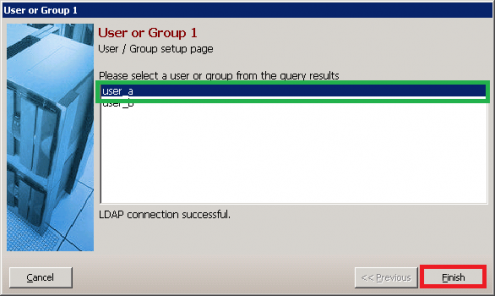 Click on the LDAP Lookup button to display your LDAP Structure. You can select the group or sub group to display the list of the computers within the group. All the computers will be selected by default. You can deselect by un-checking the checkbox. For demonstration purposes, only one of the computers should be selected. For our example images, we will select PrintServer1. Click on the Get Status button on the right side of the screen to check the status of the software on the selected computers. In the Status column, it will show that Tracker is not installed on the selected computer. The coverage column displays how many printers are installed on the selected machine. For example, a "0/4" means that none of the four printers on the selected computer are being tracked. Click on Next to be taken to the Begin Installations tab. Select the Not Installed Tab to view the systems that we want to deploy Tracker to. Click on Install to begin the installation. 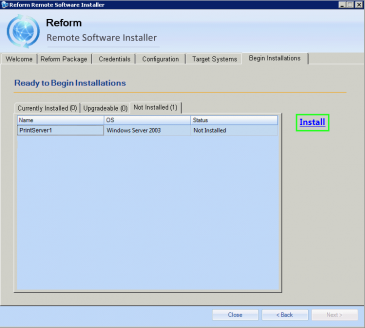 Once the installation is complete, the Results tab will be displayed. Within this tab you will see the following status tabs: Active, Successful, and Failed. In the Successful tab, you can see here that we have successfully deployed Tracker to PrintServer1. 1. To ensure that the Tracker is monitoring the printer(s), we will send a test page to the printer. From a computer where the Reform Tracker agent has been deployed to, open Printers and Faxes from the Control Panel. Right click on a printer that is being monitored and go to Properties. Note: Be sure to use a typical printer for testing. Printers that generate files such as PDFs, XPS, faxes, or other files may not track properly. 2. Click the Print Test Page button to send a Windows generated test page to the printer. When prompted that the test page was sent, click OK.
3. Once the print job has completed, you can check the reporting system to verify that it was tracked properly. If you do not see your print job listed, please make sure the required services are running on the computer and Reform Server. (See troubleshooting for more information on resolving issues). Note: If you notice inconsistent print job information, such as not being able to mouse over on the "View Document" option or not getting the correct values for Black/White and Color pages, please see the troubleshooting section titled "Restarting the Tracking Computer". 1. 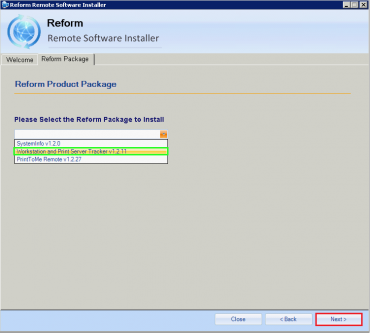 To start the Printer Configuration Utility, go to Start > Programs > Reform… > Reform_Tracker > Reform Tracker Printer Utility. 2. Go to the Device Costs tab. 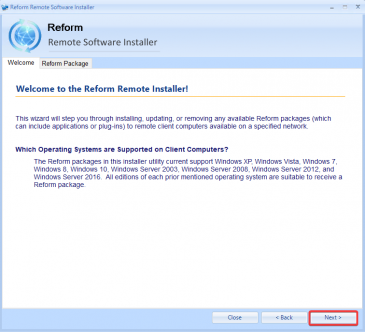 To uninstall Tracker from a Workstation, you need to run the Remote Software Installer program. Select Start > Reform…> Reform_Tracker > Tracker Agent Installation Console to begin the uninstallation of Workstation and Print Server Tracker. Select Workstation and Print Server Tracker from the drop down and click Next. 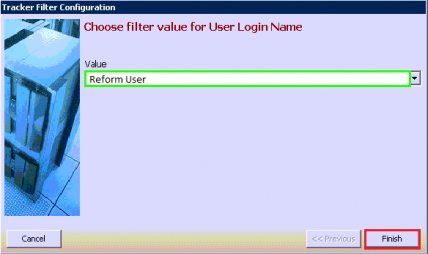 On the Credentials tab populate the Username, Password, and the Domain for the Administrative Credentials section and check the box ’Use same account as above’. NOTE: You must you an administrative account preferably the same account you use to run your services. Click on the Verify Credentials button and after verifying your credentials click Next to be taken to the Configuration tab. 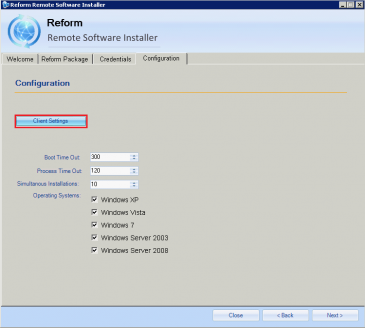 On the Configuration tab specify the Boot Time Out, Process Time Out, Simultaneous Installations, and Operating Systems. You can leave most of the default settings. Click Next and if you are prompted with the following message, stating that you have not verified the client configuration, just click yes and continue. On the Target Systems tab you can search your target systems via LDAP, CSV, or manually adding the system by entering the Computer Name or IP Address. Click on the LDAP Lookup button to display your LDAP Directory. 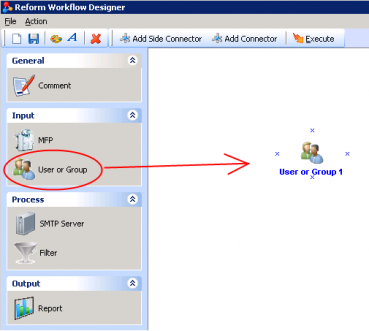 You can select the group or sub group to display the list of the computers within the group. An alternative would be to use the Add Manually button where you can enter a computer name or IP address. All the computers will be selected on default, you can deselect by clicking on the checkbox. For demo purposes only one of the computers will be selected, which is PrintServer1. Click on the Get Status button to check the status of the package you’re trying to uninstall. You’ll see in the Status column that Tracker is installed on PrintServer1. The coverage column displays how many printers are installed on the selected machine and 4/4 means all of the four printers are being tracked. Click on Next to be taken to the Begin Installations tab. Go to the Currently Installed Tab to view the systems that we want to uninstall Tracker from. Click on Uninstall to begin the un-installation. You will be taken to the Results tab. Within this tab you will see the following status tabs: Active, Successful, and Failed. In the Successful tab, you can verify that we have successfully uninstalled Tracker from PrintServer1. Please refer to the Reform Tracker for MOST manual for more information and instructions regarding tracking MOST transactions. Please refer to the Reform Tracker for MOST manual for more information and instructions regarding tracking Print To Me transactions. To track output and transactions generated by Host systems that are processed by Reform, advanced configuration would be necessary. This would require someone familiar with the Reform product to analyze the data and tracking requirements to configure the tracking design. The Workflow Designer is used to configure automatically emailed reports. 1. To open it, go to Start > Programs > Reform… > Workflow Designer. 2. Go to File > New > Document Restrictions and click Ok.
3. You will now notice that your Inputs, Processes and Outputs have been populated. 4. We can now start adding the necessary components to the workflow. First, drag and drop a User or Group object onto the workflow by clicking and holding your mouse on User or Group and then moving your mouse over to the workflow and releasing the mouse button. 5. Your search results will display and we can now choose the user we want to configure. Select the User and click Finish. 6. 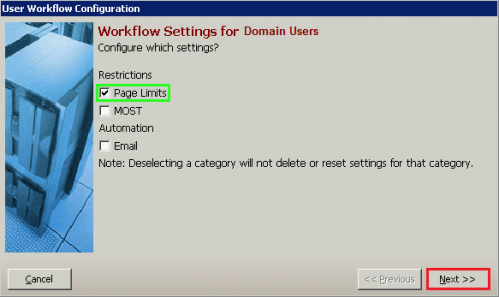 Check on the Page Limit Restriction box and then click Next. 7. 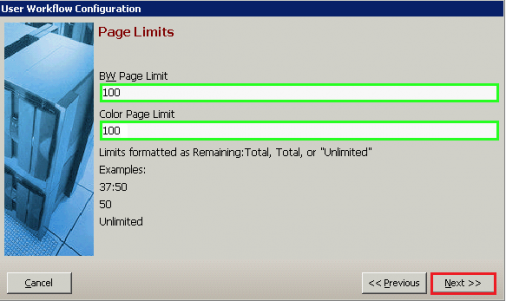 Fill in the desired limits for Black and White pages and Color pages and click Next. 8. This is where you choose how often you will be resetting the copying limits (The RM_Tracker Automation service must be running, see the "Automated Reports and Limits Service" section of this manual). It is recommended to select the first day of the current month if using the monthly limits approach. This will ensure that when the next month arrives, limits will be reset automatically to their original values. For example, if today was 1/15/2011, you would set the date to 1/1/2011. On 2/1/2011, the limits would be reset to their original values. Click Finish. 9. 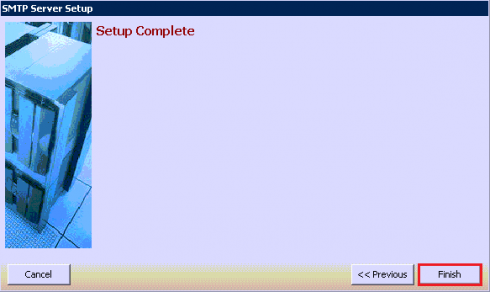 You have completed configuring your User or Group 1. Click Finish and the captions will change from Red to Green and the text will show the Username. 10. Now, drag and drop SMTP Server object somewhere underneath the User or Group (now called User) object. 13. 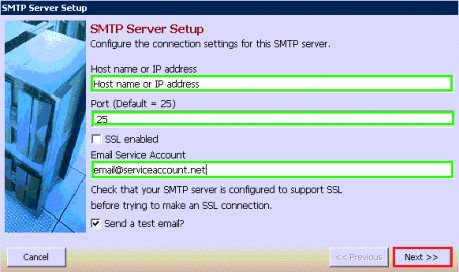 Complete the required fields in the SMTP Server Setup. Then click Next. 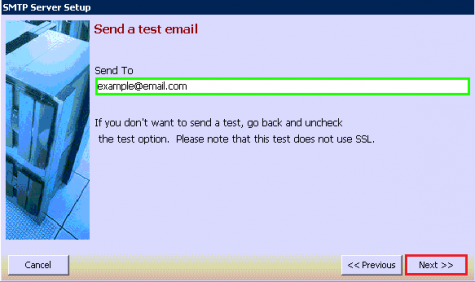 Check the Send a test email box if you wish to test before continuing. 14. Fill the send to box with an email you would like to test with. Click Next. 15. It will say that the Setup is complete. Click Finish. A message will appear saying that the email was sent. 16. 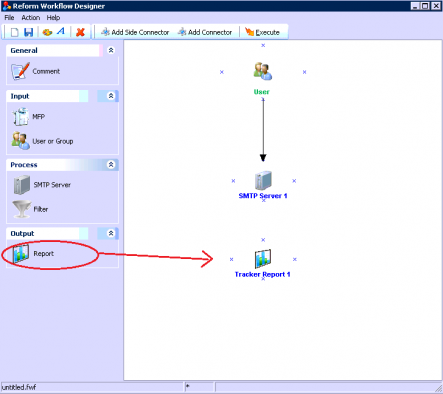 To add the report output, drag and drop a Report object somewhere underneath the SMTP Server 1 object in the previously configured workflow. 17. 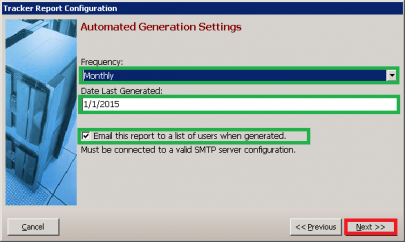 We must now connect the "SMTP Server 1" object to "Tracker Report 1" using the arrow connector. 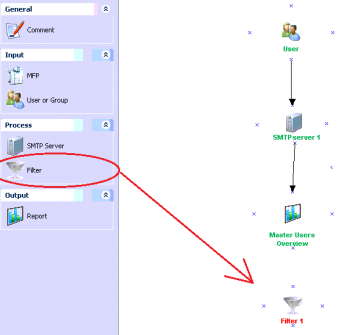 Select "Add Connector" from the menu bar and then drag an arrow from the "SMTP Server 1" object to "Tracker Report 1" object as shown below. 18. 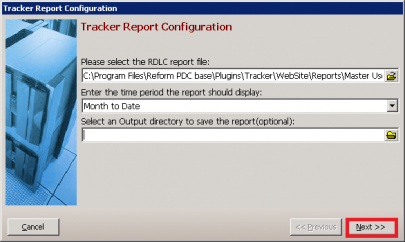 You will be prompted to configure the "Tracker Report 1" object. Click Yes. If you select No, you can still double click on the "Tracker Report 1" object or rightclick and select "Configuration" to configure it. to select a report. 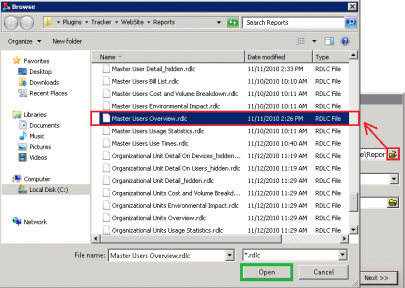 Go to Programs\Reform…\Plugins\Tracker\WebSite\Reports\Masters Users Overview.rdlc and click Open. 20. 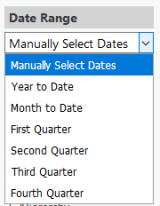 Use the drop down to select the time period the report should display. Select Month to Date. 21. Leave the output directory blank as it is optional. Click Next. 22. Now you can choose the starting date and frequency to generate and email your report. The Reform Automation service will check this date daily and decide whether a report should be generated or not. If you want a report emailed the first time the service runs, set the start date to something over a week ago. We also want this report emailed so we check On the "Email this report" checkbox. Click Next. 23. Enter a subject and body for your email. Click Next. 24. 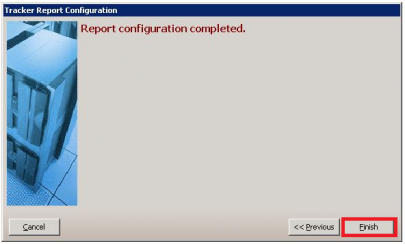 You have completed configuring the Report object. Click Finish. 25. All your objects have been configured and their captions should be green. 1. 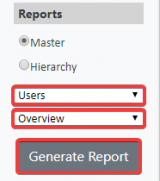 To begin, drag and drop the Filter object somewhere underneath the Report (now called Master Users Overview) object. 2. 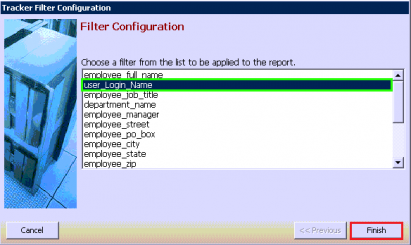 You must connect the Filter to the Report before configuring it. If you do not connect it before, when you double click it, a pop message will appear. 3. Choose Add Connector from the options in the top and point the filter to the Report. 4. Now you are will configure "Filter 1". To do so, right click on the newly added object and select "Configuration…" or simply double-click on it. Important: All Reform Tracker services must have local administrative privileges in order to function correctly (cannot be run as Local System or Network Service). To change the service logon account, go to Start > Programs > Control Panel > Administrative Tools > Services. It is recommended that all the services be configured with a domain account that has administrative privileges on the local computer. Right click on the service and click properties. Go to the Log On tab and set the service logon account. You will have to restart the service after doing so. This will need to be done for all of the Reform Tracker services. This service is used for Print and Copy Tracking. 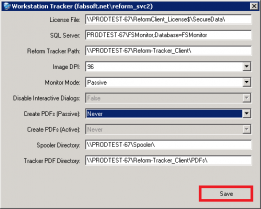 This service monitors specific Reform…\Spooler folders sends the data to the database for reporting and limits. 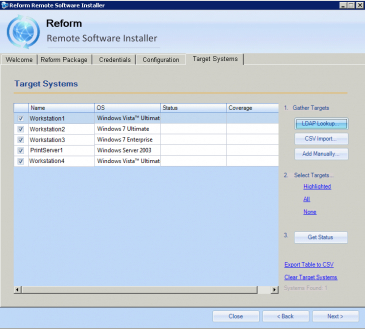 The Reform Tracker plugin allows you to configure an automated reporting system. The RM_Tracker Automation service is in charge of generating and emailing these reports. 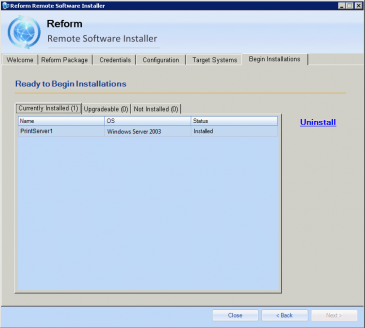 The service is installed by Reform Tracker and is set to start automatically. It runs every 6 hours and checks if there are any reports to be generated and/or limits to be reset. Using the Workflow Designer, you can configure an unlimited number of reports which are then generated and emailed out (if configured) by the service. This service also allows you to automatically reset limits monthly, quarterly or yearly depending on the needs of your organization. 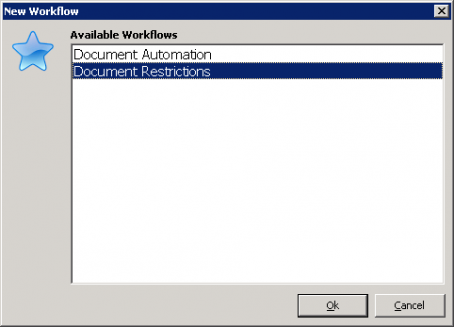 The schedule for resetting limits automatically is configured using the Workflow Designer as well. 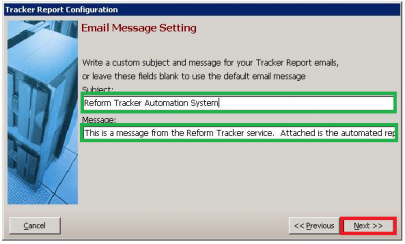 The Reform Tracker Device Identifier service is used to reach out to the printers to find out important information about them. For example, it will check if the printer supports color, if it is able to use duplex printing, what is the model, the manufacturer, and other information. This service is used on the workstations/print servers, not on the Reform Server. It is used to monitor the computer’s print drivers for activity. Each print job through the print drivers that are monitored will be tracked. It is also possible to configure the software to enforce rules and limits for printing. In passive mode, the service communicates with the Reform server via shared folders. When configured for active tracking (Limits or Rules), the service will also be required to communicate with the configured SQL server. The service’s account will require the necessary permissions for these communications. This service is used only in the active mode on the workstations/print servers, not on the Reform Server. It is used to relay messages between the print server and the workstation. The service will also be required to communicate with the configured SQL server. The service’s account will require the necessary permissions for these communications. 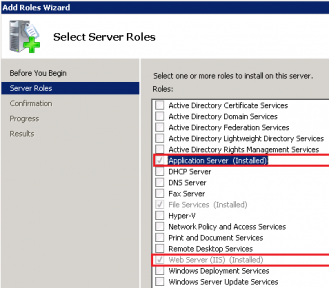 Log on to a machine on the network with domain administrator privileges. Expand the tree under the forest you will be updating. Expand the tree under Domains. Expand the domain which you will be updating. 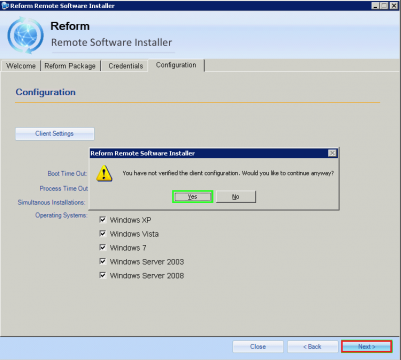 Double click on the entry Windows Firewall: Define port exceptions. Click on the Show button to bring up the port exception list dialog. It takes up to 2 hours for Group Policy changes to take effect for Computer policies. Please allow 5 minutes to let our service scan your printer, if it is still not working, restart your workstation. 1. 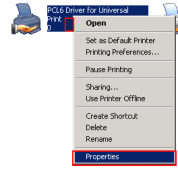 For the Printer Queue Monitor to function, it must have control over the documents printed to the monitored printers. It is important to verify that this option was correctly set on the print driver. Open Printers and Faxes from the Control Panel. For each monitored printer, right click and select Properties. 2. Go to the Advanced tab. Make sure the "Keep Printed Documents" checkbox is checked. If not checked, please check it and try your print job again. If you are having trouble viewing the PDF images of print jobs while using the Tracker Reporting tool or emails are not being sent, it is important to check that the Reform Spooler is running. Open the Reform Spooler by going to Start > Programs > Reform… > Spooler. 1. 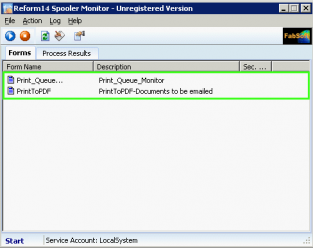 Make sure that the Print_Queue_Monitor and PrintToPDF forms are present in the forms list. If it is not, refresh the Spooler using the refresh button in the menu bar. 2. Make sure the service is started by checking the lower left hand corner. 3. Make sure the service account has the appropriate permissions. 1. Please go to Start > Control Panel > Administrative Tools > Services. 2. Find and select the service you would like to restart in the list of services. 3. Click the "Restart" button at the top of the Services window. 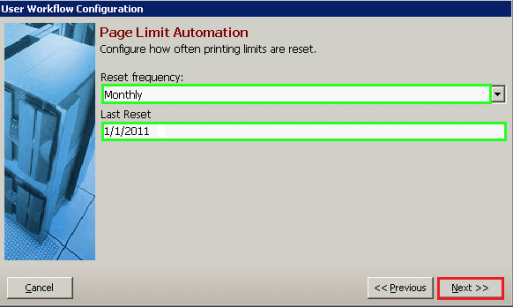 It may be necessary to restart the computer which is running the PrintQueueMonitor before attaining accurate print tracking results. If you notice that the Reporting system does not allow you to view the printed documents and you are getting zero black/white pages and zero color pages, a restart of your computer will be required. After the computer has restarted, please verify that only the PrintQueueMonitor service or the PrintQueueMonitor console (not both) is running. For Passive mode, verify that the RM_TrackerProcess service is also running. RSI - "Log File Not Found"
After choosing a workstation to push tracker to, clicked the Get Status button and a message appears "Log File not found". To resolve this please turn off the firewalls on the server and also turn off the UAC. In the Tracker Website >> Authentication > Enable Windows Authentication. 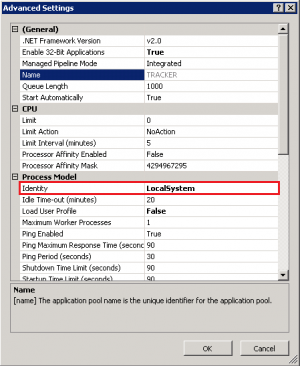 In Application Pools >> Tracker change Identity to LocalSystem. In the Tracker website >> Application Settings allows you to configure the site, default should function without any changes. There are certain directories and SQL tables that need to be monitored for growth along with the MOST plug-in for Reform. As a system processes more and more jobs, the size of these directories and SQL tables can grow very quickly. Overall system performance can be affected by the large amounts of space that the files may take up. Also, there exists a 10GB database limit if using the Microsoft SQL Server Express supplied with this installation. Obsolete files/database entries should be deleted according to your needs and file retention specifications. This page was last edited on 14 February 2019, at 11:36.